Photographs come in many different styles, such as landscape, wildlife, people, and commercial. There are many more that are not listed here. What separates a photograph from others is the clarity of the story it tells. What does the photographer share with the audience that isn’t shared in other images. The photograph below is a shot of Proposal Rock on the Oregon coast. This area is photographed often by locals and visitors. So the challenge becomes, how does a photographer make his/her photograph different from every other photograph of this beach and rock? In this case, the difference is a pair of shoes with bright colored laces. This second photograph utilizes people in a landscape photograph. The viewer first sees the child holding the lens, the railing behind the child, and finally the landscape in the background. This shot is from Waimea Canyon on the island of Kauaii (Hawaiian Islands). 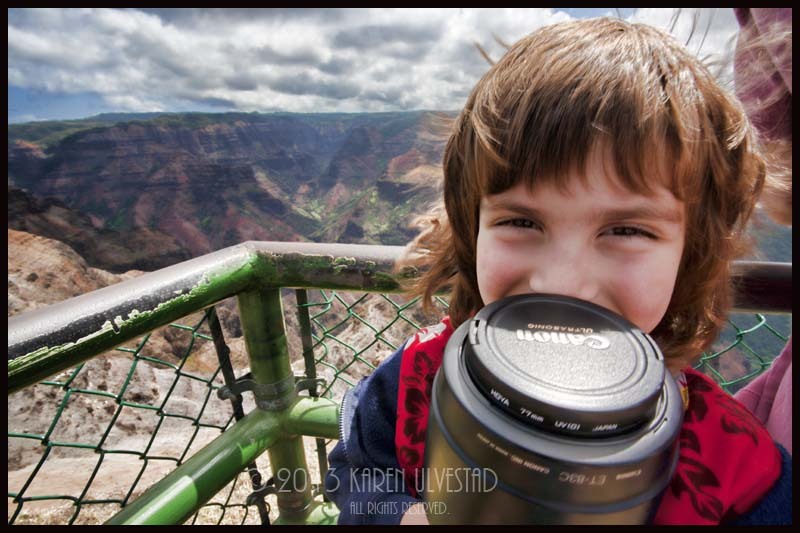 The depth of field in this shot give value to its elements. . .the child, the railing, and the canyon. The clouds in the sky add further texture to the image. It seems fitting to end with this photograph of a Bald Eagle at sunset. 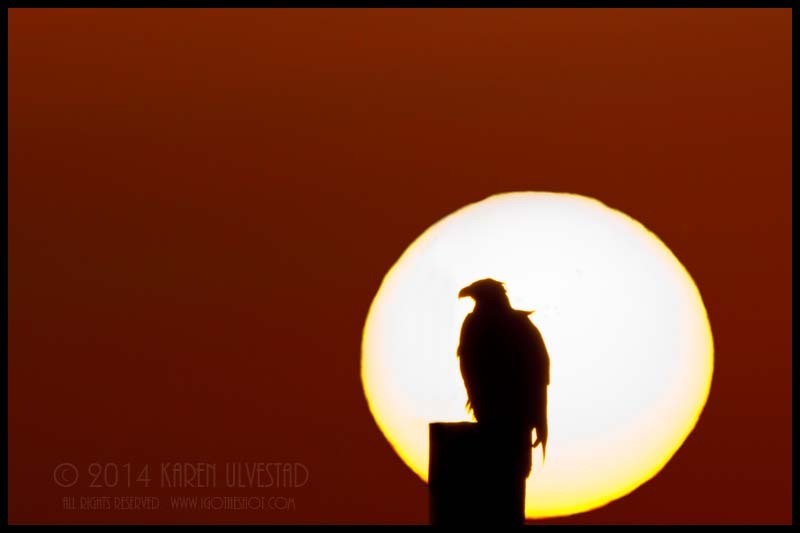 The sunset becomes the sun, color of the sky, and the silhouetted eagle. This is a single shot in the camera, which means it was thought through before the photograph was taken. Planning can help create a one-of-a-kind photographic image. 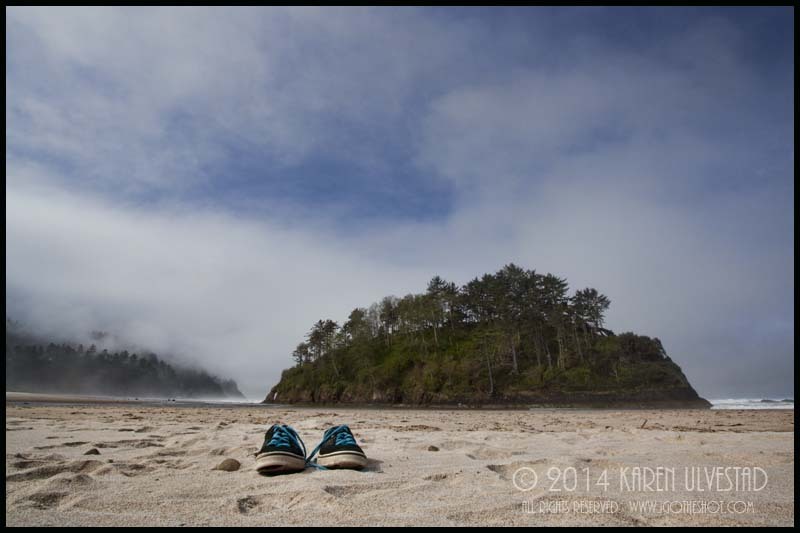 This is an excerpt from my upcoming workshop The Spirit of Place at the Sitka Center for Arts and Ecology in June.